It is with great sadness that the family of Oscar B. Hernandez must announce his passing. On Sunday, January 27, 2019, one month shy of his 72nd birthday "Cholo" crossed over into the loving arms of our Lord and his daughter, Nadine Mae. Oscar was born February 27, 1947 in Gallup, New Mexico to Rosendo and Carmelita B. Hernandez. After moving to Utah he met and married Richanda who was faithfully by his side until the very end. 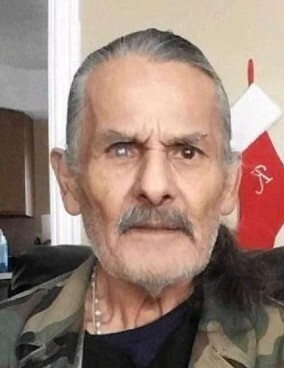 A proud Native American and avid Miami Dolphins fan he loved hard and fought even harder. You could always count on some encouraging words and prayers for guidance and protection. Maybe even a hilarious story from the good ole days. Oscar leaves behind not only has high school sweetheart, Richanda, but his sons: Richard Taylor, Fernando, Christopher, Oscar and Danny Tavale; one surviving daughter, Anna Marie; twenty grandchildren and 28 great- grandchildren as well as numerous nieces and nephews. Also his only surviving sibling, Lupe (Frank) Solis. A celebration of life will be held on Thursday, February 7th 2019 from 6 to 8 pm with Rosary beginning at 7:30 pm. at Aaron's mortuary , 496 24th St in Ogden. There is a GoFundMe account set up to help the family with costs.